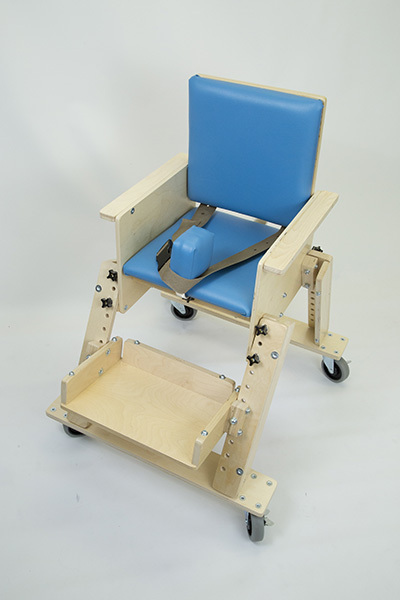 The Kaye Kinder Chair is designed as an adjustable seat that can be used to help ensure the user is positioned properly while sitting. The K1 is designed as a stand-alone unit. 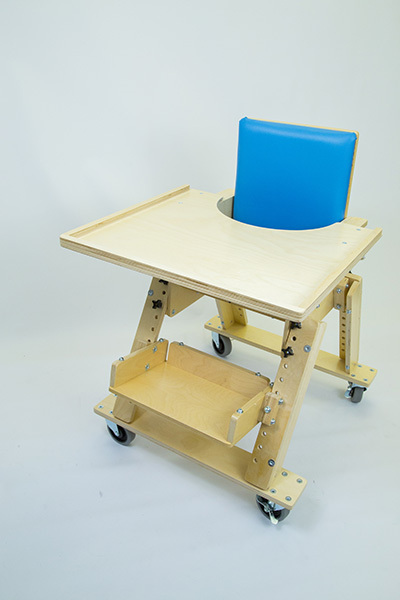 The K2 is designed to be used at standard tables. K3 is available for older children. Optional Caster Base Model K1CB, includes 4″, swivel, locking casters. Model K2CB, includes 4″, swivel, locking casters. Standard. swivel, locking casters. Provides additional stability and alignment for the user’s pelvis, legs, and lower body. Will not alter the chair height. Adds 7″ to the distance between the footrest and the seat.